Pongal falls on Jan 15th of this year 2015.Planned to post Sakkarai Pongal Recipe using Millets. So I tried with Samai(little Millet). 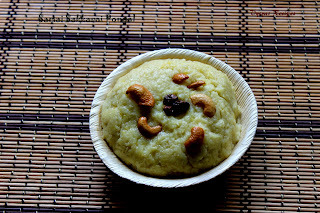 It came out well..In india Moraiyo,Kutki, Shavan are some of the names in Hindi for little millet. In Bengali it is called as Sama. In Tamil it is called Samai. In Gujarati Gajro, kuri. In Telugu, it is called as Samalu. In Marathi it is called as Sava, Halvi, vari. In oriya it is called as Suan.Now we learn to make healthy sweet Pongal. 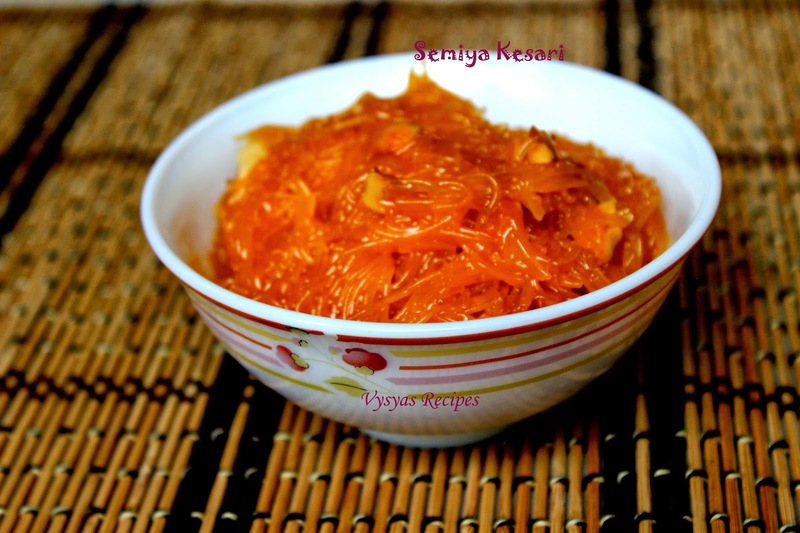 Samai Rice - 1/2 cup. Ghee - 1/4 cup + 1 tsp(for roasting Cashew nuts and Raisins). Soak Samai and Moong dal together for 15 minutes. Melt the Jaggery with little water in a vessel, and filter it to remove impurities, and keep it aside.Now Jaggery Syrup is ready. Pressure cook Samai and Moongdal together with 2 cups of water for 1 whistle, then keep it in Sim mode for 5 minutes.Then switch off the flame. When pressure subsides, open the lid and mash well. Now switch on the stove. Add Jaggery syrup,then pinch of salt.Mix well. Add 1/4 cup of Ghee little by little and mix well. Pongal leaves the sides of the kadai.Finally Garnish with Cashews and Raisins. 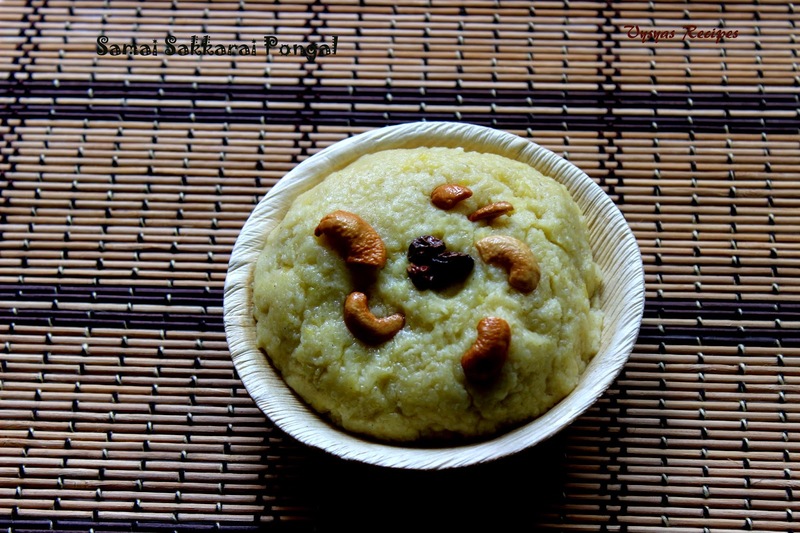 you could use varagu, Thinai or Kuthiraivali to make this Sakkarai Pongal. Adding pinch of salt, enriches the taste of Sakkarai Pongal. Happy pongal to you and your family !